One more makes four....hmmm, let's make that FIVE!!! : Goodbye Guangzhou! My head spins as I try to sort through all we've experiences the last two and a half weeks. It feels like we've lived a lifetime...and in some ways it feels like it's flown. China adoption trips are truly one of lifes most unique experiences...like trying to explain childbirth or surgery to someone who has never BTDT...I'm just not articulate enough to put it into words. I'll have a few more posts from HK..but I hope my friends and family have enjoyed sharing our experiences. I feel like today we are saying goodbye to China and to what I will remember most fondly. I'm bringing my tissues! I'm excited to say I've FINALLY got to meet my dearest cyber friend Cristy. and we hit it off in person as fabulously as we did in cyberland. Her Finley is even cuter in person if you can imagine! We have truly enjoyed watching our SB kids together. 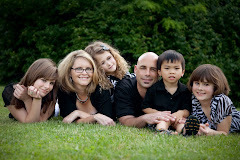 One of our bonds was sharing the up and downs and the leap of faith of adopting a SB child. I can say we both couldn't be more pleased and have grinned from ear to ear watching them run and climb and jump! What a testimate to possibilities! We went to the Safari Park yesterday and if you are coming to Guangzhou...don't miss it! It was AMAZING...truly the best zoo I've ever experienced and in general I don't love zoo's because one dirty small cage and my moods ruined. This facility was fab and VERY interactive...our kids had a blast and I ended up taking @200 pics...dont' worry...I'm not posting them all! I have so appreciated you love, support and prayer...keep them coming dear friends and family! Yes, we hit it off like I knew we would. We are for sure peas in a pod and it was so gratifying to se our SB kids hanging out. We will for sure have to get together again in the future. WE enjoyed you and mike to much not to. OK, so safe travels to HK and email me when you can. I miss you already-- BTW, saw Suzie at lunch. Happy to have met her too!!! Glad it's winding down, even though it looks like you've made the most of your time there. Hope the flight to HK goes well and that there are no meltdowns in public places. We miss you already. Luke wouldnt come out of the room, but it has been a few hours since you left and he is doing better. have a safe trip home and we love you 3 a ton!!!! What a journey!! I have loved tagging along and can't wait to talk once you feel human again!! You're almost home!! YAY!!! Have a safe trip! Please post a quick one when you make it home! I'll be praying for your travels. We went to the safari park on our trip, and I'm so glad you got to go. It's a good break from the adoption business. Take care, and I can't wait to see all 5 kids together! Hoping to hear about your homecoming..Where..when?